The Reloop Terminal Mix 4 is a Four Deck Digital DJ controller with a very high quality build, wonderful jog wheels, and a nice on-board feature set to please DJ&apos;s everywhere. The Terminal Mix 4 also comes bundled with Serato DJ Intro (2 decks) and Virtual DJ LE (4 decks) for DJ&apos;s to get busy with straight out of the box. All is not perfect in the land of the Terminal Mix 4 so check out my full HD-Video review to see how it stacks up. I have always been a fan of the Reloop style of DJ equipment... The Reloop brand has continuously produced some very high-quality gear all with their no-nonsense black and silver coloring scheme with very intuitive layouts and controls for DJ&apos;s to hone their craft. In continuing with that same scheme, Reloop has announced their newest Digital DJ Controller lineup which consists of the Terminal Mix 4 (Four Deck Controller) and the Terminal Mix 2 (Two Deck Controller). This review will focus on the Reloop Terminal Mix 4 DJ controller but I&apos;m pretty sure the quality and build of the Terminal Mix 2 will be more of the same with two less channels of control. The Reloop Terminal Mix 4 has a very nice overall build and layout to it. The Terminal Mix 4 is made up of mostly Metal with a little bit of plastic thrown in to save on weight. The unit has a very SOLID feel to it and it will last a very long time with normal use. All of the knobs are nice and over-sized so that the DJ can accurately mix to the exact levels as needed. The Jog wheels on the Terminal Mix 4 are some of the best I have ever used. They don&apos;t have any type of tension adjustment or touch sensitivity adjustment but the weight and the feel of the Jog wheels is just right. When you backspin and let them go, they continue to spin for a while and the ribbed top surface just feels right in the hand. They are truly some of the best High-Resolution jog wheels on the market and they were lots of fun to use. The Crossfader also has the same really great feel to it. It doesn&apos;t feel cheap like other controllers and it has a nice audible click when you hit the end of the fader plate. I really liked the feel of the crossfader, even though the cut-in distance for all software tested was a rather long 2mm. I was still able to pull off lots of fun scratch routines with the Reloop Terminal Mix 4 but it&apos;s definitely not meant for it (Serato DJ Intro where it works the best for scratching/juggling). The Line faders have more resistance to them and they also have the same higher-than-normal quality feel to them as the crossfader. The Terminal Mix 4 comes bundled with two different software for the DJ to choose from. 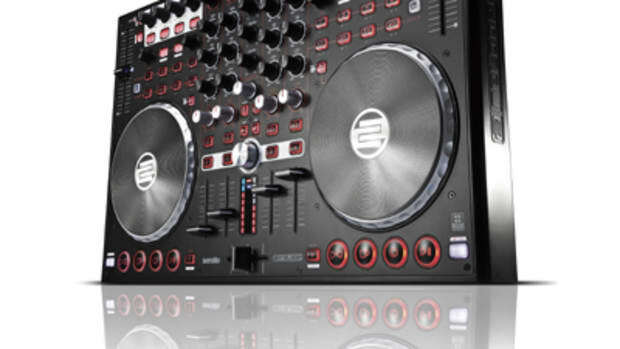 The First software is the Serato DJ Intro which only utilizes Two of the Terminal Mix 4 Four decks. So if you are buying the Terminal Mix 4 to use with Serato DJ Intro, just be aware that Intro is a base-form of Serato DJ software and lots of features on the Terminal Mix 4 will no longer work. For example, Serato DJ Intro only provides you with a total of four Cue points, four Sample banks, and the Loop Move Knob does nothing at all. The effects are limited and there isn&apos;t much more you can do in the software other than mix from track to track, but it does this extremely well. In Serato DJ Intro, the DJ will have the tightest Jog Wheel integration of all and scratching will be much nicer than on Virtual DJ LE or Traktor. 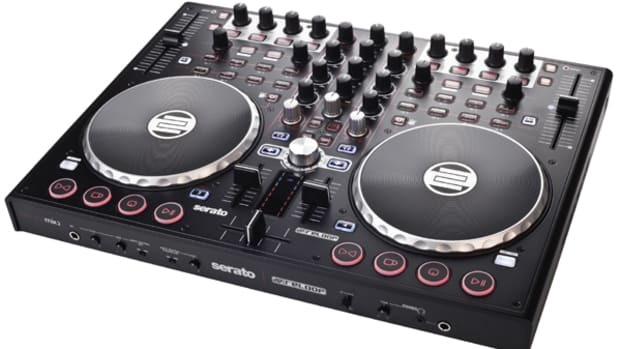 In order for the DJ to unlock more potential of the unit, they will most likely use the controller with Virtual DJ LE or upgrade to the full Serato DJ for $130. 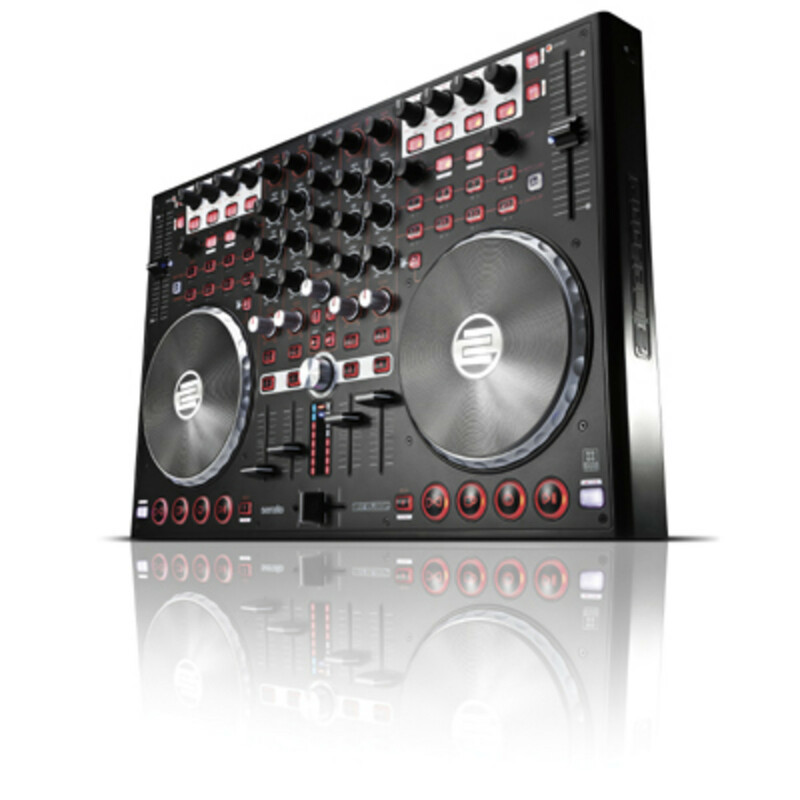 The Virtual DJ LE that comes bundled with the Terminal Mix 4 is a well-rounded software with all four decks of control now active for use. 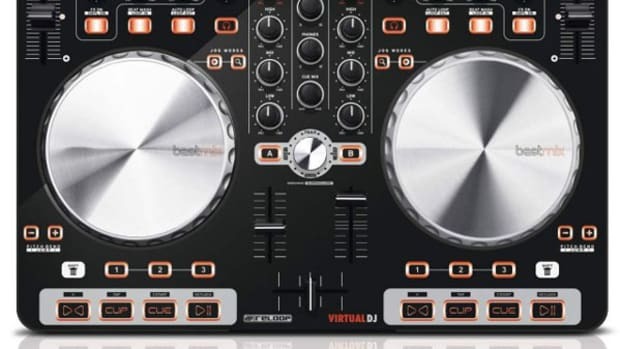 In Virtual DJ LE, the software screen actually looks like an exact copy of the controller and everything is very easily laid out. There are a total of eight Cue points in Virtual DJ LE and also eight Sample banks for DJ&apos;s to use on the fly. Furthermore, everything on the face of the controller now actually works for some feature or another. The Jog Wheel is not as accurate when scratching and back cueing with Virtual DJ LE as it is in Serato DJ Intro, so the DJ will have to decide what is more important to them when picking which software to use. On the Reloop DJ website, users can download different MIDI mapping files for other DJ software. The Terminal Mix 4 works very nicely with Traktor 2.5 and there is a TSI file available for two regular decks and two sample decks of control, or for all four track decks depending on mixing style. I felt that the Terminal Mix 4 had a great overall balance when used with Traktor and the jog wheels were better than Virtual DJ LE, but not as good as the Serato DJ intro, but there is just so much more you can do in Traktor Pro than what you can do with Virtual DJ LE or Serato DJ Intro. 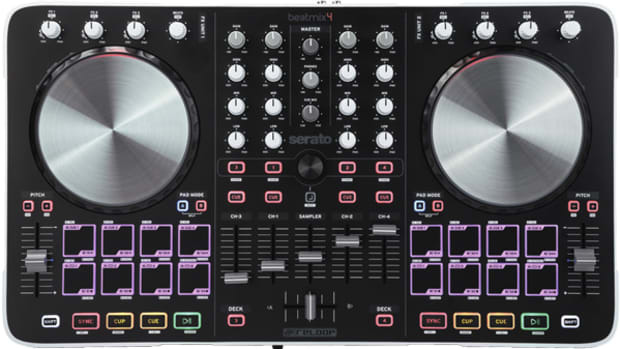 DJ&apos;s may want to either purchase the full-Version of Virtual DJ, Serato DJ, or Traktor Pro 2 to truly take advantage of such a great controller. Reloop could have included a real PRO version of a software suite with the Terminal Mix 4, but I suppose they did not in order to keep down the costs and allow for DJ&apos;s to choose for themselves which software they actually want to continue on with. Some other great points on the Terminal Mix 4 include the Emergency "Through" Auxiliary input on the back of the unit. It&apos;s great to have another input on a DJ controller just in case your computer software takes a dive during a gig, you can now easily plug in any RCA device (AKA MP3 player) to the rear of the Terminal Mix 4 and use the front Volume control to play from another source. The Terminal Mix 4 also has a very nice and full feature set with lots of MIDI controls and buttons for Hot Cues, Loops, Samples, Effects and big rubberized transport controls below the jog wheels. On the Downside, The Terminal Mix 4 can not be used as a standalone mixer. 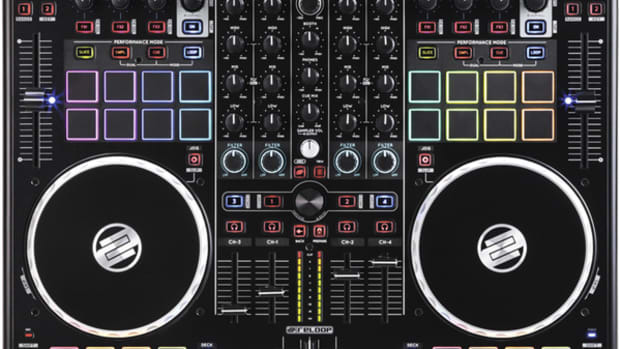 Most four deck DJ controllers that are built with this much high quality usually have at least two inputs on the back of the unit that correspond to the channels on the controller. In the Terminal Mix 4, there is no such inputs, so the device cannot be used as a mixer to mix external sources of music. Another small gripe that I had with the unit was that even though it comes with Virtual DJ LE and Serato DJ Intro, it does not come with a full-featured PRO version of any software meaning that any DJ who wants to "get serious" with their craft will have to come out of pocket to get Virtual DJ Professional (for better effects and more controls) or Traktor Pro 2.5. My last and final issue with the Terminal Mix 4 is with the Line Level LED indicators found in the middle of the line faders. The LED indicators only show LINE Master level of the mix and don&apos;t show individual volumes per deck meaning that you can&apos;t really get a good gauge on the GAIN needs of a deck until it is actually playing live over the master output. In Conclusion, The Reloop Terminal Mix 4 is a high-quality and heavy-duty Digital DJ controller with some of the best jog wheels ever made and very nice fader feel to go with it. All of the EQ and control knobs are nice and oversized and the user gets to choose between Virtual DJ LE or Serato DJ Intro to spin with. The Terminal Mix 4 is a full out MIDI controller meaning it can be customized to work with almost any DJ software on the market. The Terminal Mix 4 has all the extra features a DJ could need (Hot Cue, Sample, Loop, Effects controls) and a nice Emergency AUX through input in case a software takes a plunge. If users do not need to use the Terminal Mix 4 as a standalone mixer and they are willing to purchase a different software when they turn "pro" then the Terminal Mix 4 may be right for them. We are going to recommend the Reloop Terminal Mix 4 to any DJ who wants a professional and versatile (can be MIDI programmed for almost anything) DJ controller with high quality control feel and a bunch of on-board features to please DJ&apos;s everywhere.